Expected to debut at 2017 MIAS. The fourth generation Chevrolet Spark that was introduced two years back is finally set to hit the Philippines. According to a report from CarGuide.ph, the 2017 Chev.. Exterior previewed by Beat Activ concept at the Auto Expo 2016. A certification from the California Air Resources Board (CARB) proves that GM is working on introducing the Chevrolet Spark Activ..
Gets an all-new engine with a Start/Stop system. The 2016 Chevrolet Spark is being showcased at the 2015 Dubai International Motor Show. 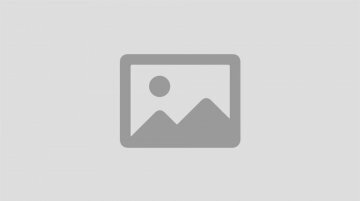 The new generation Spark was launched in South Korea in.. Features a bigger list of safety equipments. 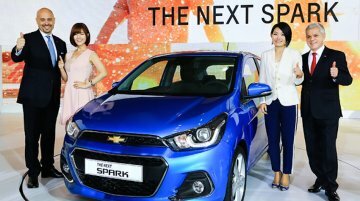 General Motors has launched the latest iteration of the compact Chevrolet Spark hatchback in Korea, which has dubbed as the 'Next Spark'. It was first..
Powered by an all-new 1.4-liter Ecotec engine. GM today took the wraps off the all-new 2016 Chevrolet Spark (Chevrolet Beat in India) at the Seoul Motor Show 2015. 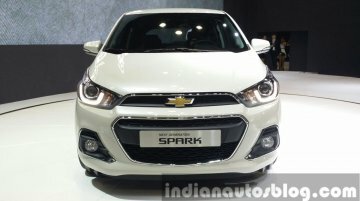 The new Spark will be offered in..
Indian model would be based on a different platform. 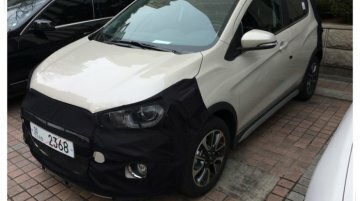 The hatchback seen here is reportedly the next generation Chevrolet Spark (Chevrolet Beat), which will be unveiled later this year. Launched in.. Both models have lasted well past their lifecycles. 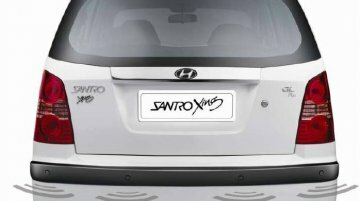 Economic Times reports that Hyundai Motor India will stop making the Santro in the last week of November, thus bringing to an end, production of..
GM India have launched a limited edition Chevrolet Spark today, priced between INR 3.44 to INR 3.99 lakhs, ex-Showroom, New Delhi. 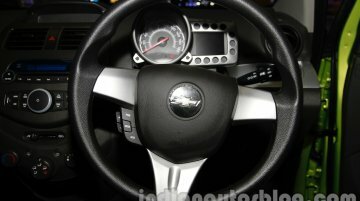 The limited edition Spark gets features such as a steering wheel.. 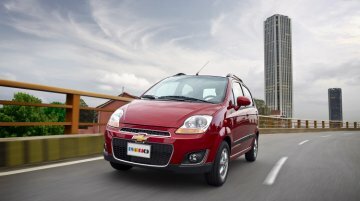 The Chevrolet Spark facelift, with the same interior and exterior changes as received by the Indian vehicle in late 2012, has been launched in Colombia as the 'Chevrolet Spark Life'. This..
General Motors is in an advanced stage of designing a new low-cost car, reports Brazilian auto news agency, Automotive Business. 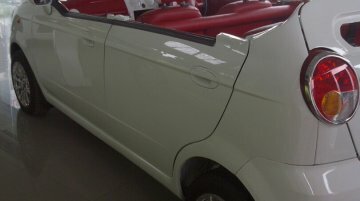 The car is codenamed 'Project Amber', and will enter Brazilian.. The Chevrolet Spark (Chevrolet Matiz and Daewoo Matiz to the rest of the world) is generally perceived as an ideal city runabout. The hatchback's diminutive footprint enables it to dart into small..
GM India has launched the Chevrolet Spark facelift today at a starting price of 3.16 lakhs ex-showroom Delhi. 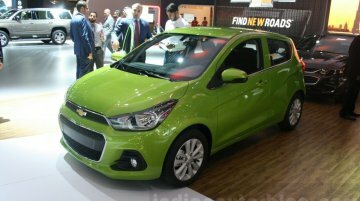 The small hatchback from Chevrolet's stable now comes with refreshed exteriors and.. The Chevrolet Spark is expected to launch later today. There won't be a gala launch program or even a press conference as the new Spark is simply a cosmetic makeover to freshen it up. GM India.. The launch of the Chevrolet Spark facelift is just around the corner and the teaser images of the car has started doing rounds in the official Facebook page of Chevrolet India. 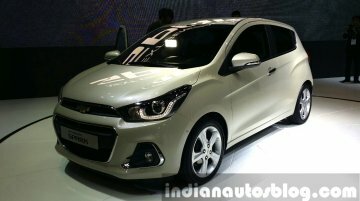 The launch date of..
IndianAutosBlog.com was the first to shown readers the reveal an image of the Chevrolet Spark facelift, the launch date, and details on the exterior, colors, interiors, etc. Today we're adding.. The new Chevrolet Spark with the twin-port Chevrolet grille will launch on the 25th of October. 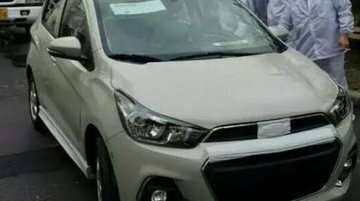 The original plan was to put it on the market on the 15th, a day before the Maruti Alto 800 graced..
IAB Exclusive - Chevrolet Spark Facelift Spied! Earlier, we have informed that the launch of Chevrolet Spark facelift will take place on Oct 15th, a day before Maruti Alto 800 launch, but according to our sources the it may be postponed by a few.. 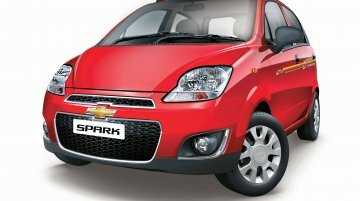 Multiple sources have confirmed to Indian Autos Blog that the Chevrolet Spark facelift will launch on October 15. GM India could have decided the date very recently to crash Maruti Suzuki's..